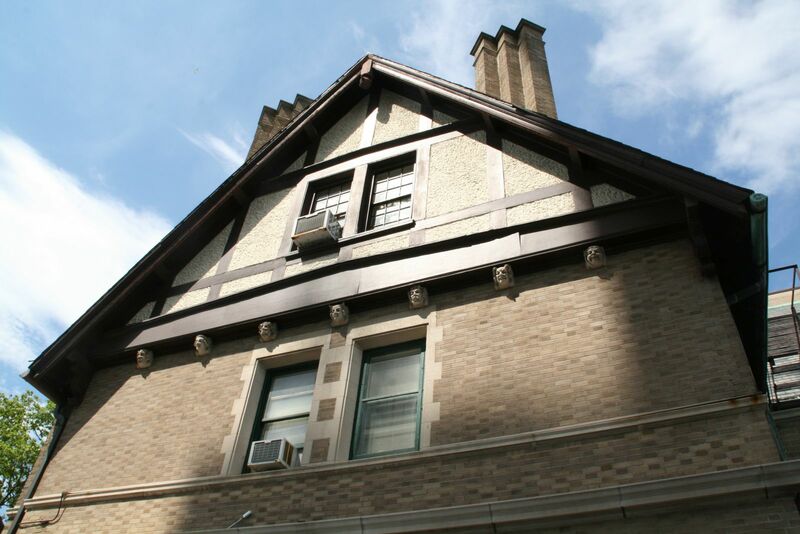 The roofline and other facade elements of the Goll Mansion need work. Photo taken June 20th, 2016 by Jeramey Jannene. All Rights Reserved.